miles for beer...: pepper needs new shorts. shorts. yes shorts. the age old search for the best pair of running shorts. at the moment i have a new favorite. the brooks that i bought at marshall's. i have worn them no less that 4 times since friday. that's dedication right there. 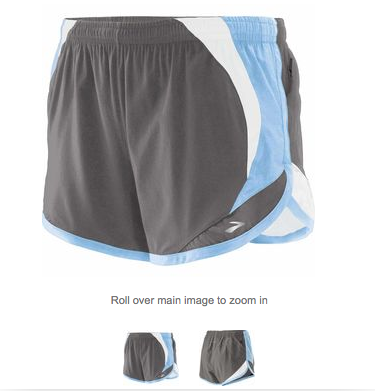 these look like the shorts, but let's be honest i have no real idea. also, by look like them i mean style wise and because they are grey. they came from marshall's. and i would take a picture of them like a normal human, but that would require taking them off and that just ain't happening (i told you i liked these). sorry charlies. oh did i mention? these don't have a zipper back pocket, but they DO have dual velcro back pockets on each side that you can kind of see in this picture. they are also turquoise and flowered as opposed to that boring old blue in the picture. and and the underwear liner is striped. like a pin-suit. makes me feel important. now today. in the mail. a package was there. tnf better than naked shorts have officially arrived. I CANNOT contain my EXCITEMENT to test those bad boys out. tomorrow. tomorrow. oh hey there fancy pants back pocket. today as well: i ran this morning. GO ME. haha. right...but i really did run. tomorrow (in my new shorts) i am going to attempt to get up on time (i slept through my alarm this morning) and go on a long run. yesterday: i changed the blog up... you like? ahem...giant collage at the top. picmonkey.com is my new best friend. for realsy. i know i know i am bouncing around like a ping pong ball today. 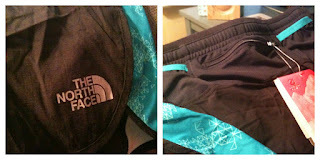 i am really excited about my shorts and future shorts. also the robert earl keen and jack johnson cd's i just purchased. speaking of robert earl keen (REK) i am going to see him tomorrow and i am more excited about that than my new shorts. plural shorts. that's a lot of excitement there. and possibly more than my birthday. and if you know me, REK has a lot to live up to in excitement territory over my birthday excitement. EEEEEEEEEEEEEEEEEEE. i've also eaten enough fruit this week to stave off scurvy for at least 2 years. minimum.